Colin Read has balanced warming pop-rock grooves with deeply reflective, endearing lyrics on this album – making for a collection that’s a joy to have play for you; both for its welcoming musicality and its unwavering realness and truth. Hero In Mourning as a title track kicks things off with a bright and wonderful meeting between these elements. The sound, musically speaking, has a delicate sort of indie-rock feel – think Stone Roses or any of the earlier, gentler toned indie bands from the UK. Alongside of this, the lyrics draw you in for their honesty and their poetic outpouring – Read’s calming and rather distant voice gives it all a little more poignancy; there’s a humble nature to his delivery that adds authenticity. Mellow is a song with an immediately memorable leading riff and melody – the two descend in unison and float through in stark contrast with the delicate duo of voices found elsewhere. As with most of the album, the music is simply a pleasure to have fill the room. Waterfall is another that fits this description and matches the beauty implied by its title in a wonderful way. Worth listening to more than once to really catch the lyrics. Worrying World picks up the intensity a little, driving with weight and a concept that appeals for its relevance and depth. The rock energy increases, the drums and the guitar riffs seem to strike a little harder. The set-up and the progression throughout is brilliant – a definite personal favourite, unique and thought provoking. 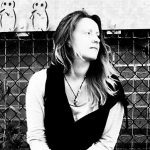 Falling Shell sees the lyrics fall back into the mix again, the ambiance rains down around you in a dreamlike fashion – certain lines stand out though, mainly those coupled with the second vocal; this moment of repetition undoubtedly lingers after listening. You start to gather a broader understanding of the overall concept behind this album and the topics and stories expressed within. Who U R Now lifts the mood, a touch of funk pours through instrumentally, a simple melody with short lines that stand out for their poetic observations drives the writing. The increasing distortion makes the journey more uplifting as it moves along. The mix has been toyed with creatively and this gives the song a notable level of character. Elegant leads with a distinctive choir-like intro and a subsequent riff that’s hypnotic to have surround you. Read’s whispered voice suits the questioning repetition of Am I dreaming and the overall sound of this song really well. Erase has a similar brightness and the rhythm and tone of course fit perfectly within the album. Again, there’s an optimism to the musical sound and indeed to the lyrics in the end – somehow I’ll love again – the unity between the music and the words is beautiful. As the soundscape evolves, the instrumentation hits brilliantly – the drums and the guitars offer one of the best moments of the entire project. Cover Me Up hits harder again, a thick drum-line and some clearer-cut, effected riffs strike in the low and the high intermittently – the melody does the same; higher notes at the end of each line lead well to the satisfying final resolve of the hook. The quietness of the voices within the mix sometimes makes you wish the lyrics were clearer, but on the other hand – it places the vocal tone smoothly within the musicianship, so you can just let this play as if it were ambient, instrumental music. The added benefit being that you get the odd inspiring or thoughtful idea come through to gently guide you. This is another highlight for its increased weight and the clever way in which the melody holds onto your interest. 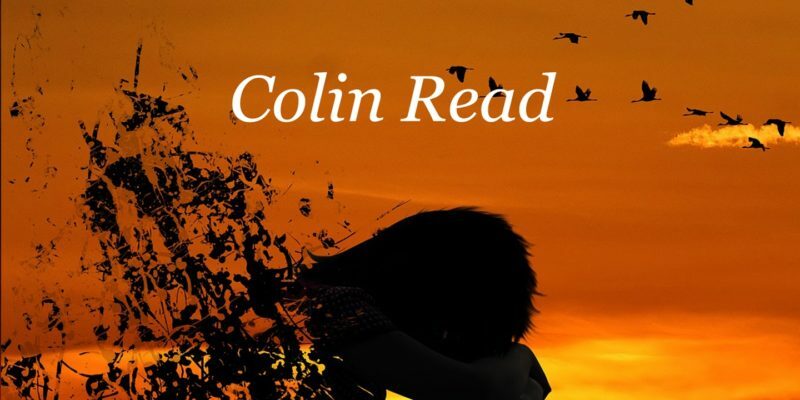 Colin Read has stepped away from his previous band-life to put together this solo project and it showcases some brilliant songwriting and a wonderfully soothing approach to music. Check out the album via his Website.